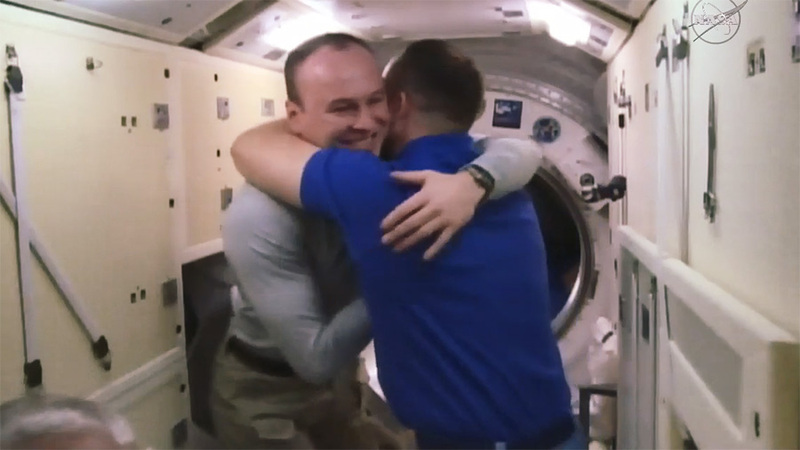 Cosmonauts (from left) Sergey Ryazanskiy and Alexander Misurkin trade hugs and farewells. 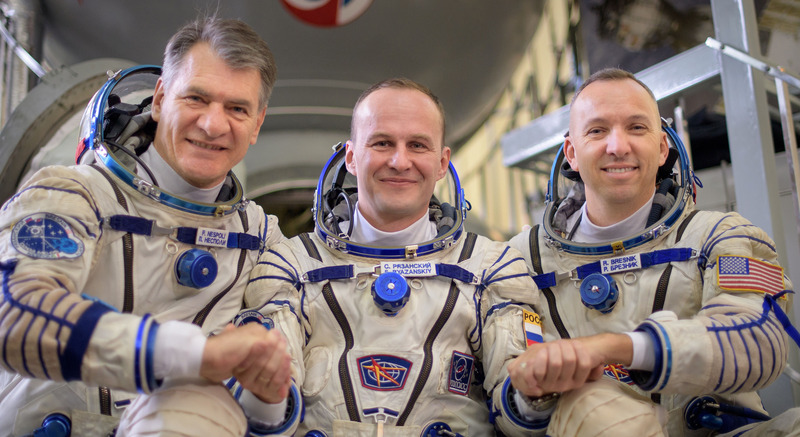 Ryazanskiy is departing the station with astronauts Randy Bresnik of NASA and Paolo Nespoli of ESA in the Soyuz MS-05 spacecraft. 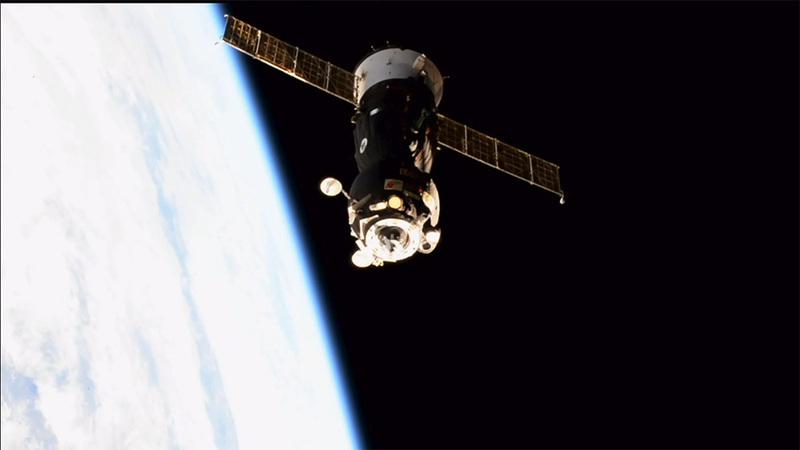 At 9:02 p.m. EST, the hatch closed between the Soyuz spacecraft and the International Space Station in preparation for undocking. 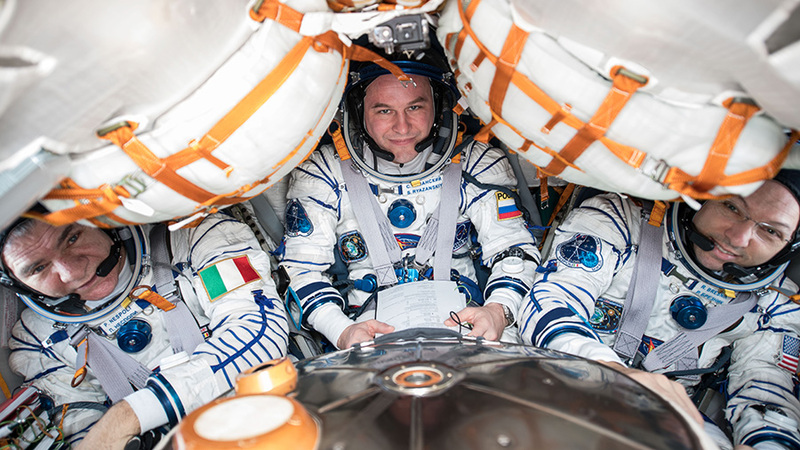 Expedition 53 Commander Randy Bresnik and Flight Engineers Paolo Nespoli of ESA (European Space Agency) and Sergey Ryazanskiy of Roscosmos are scheduled to undock their Soyuz at 12:14 a.m. NASA Television will air live coverage of the undocking beginning at 11:45 p.m.
Their landing in Kazakhstan is targeted for approximately 3:37 a.m. (2:37 p.m. Kazakhstan time) and will conclude a 139-day mission aboard the space station, in which they logged 2,224 orbits of the Earth. 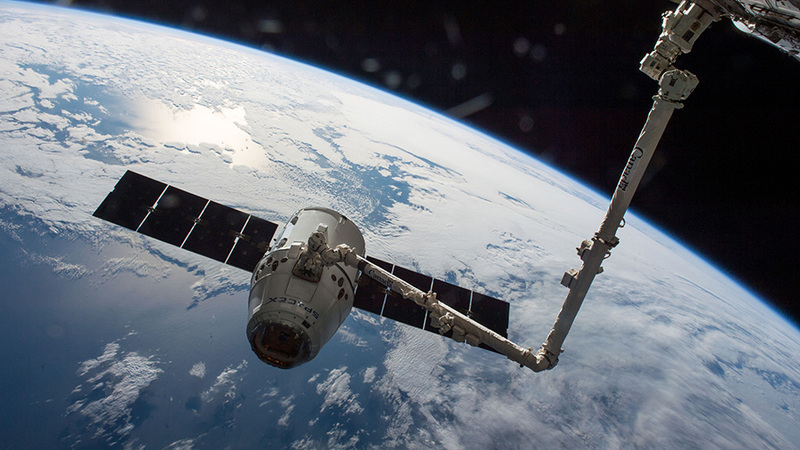 NASA commercial cargo provider SpaceX is targeting its 13th commercial resupply services mission to the International Space Station no earlier than 11:46 a.m. EST Tuesday, Dec. 12. 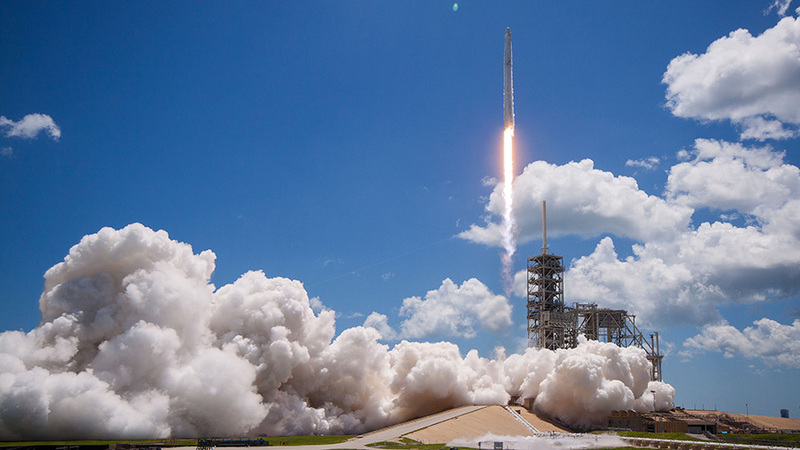 Packed with about 4,800 pounds of research, crew supplies and hardware, the SpaceX Dragon spacecraft will launch on a Falcon 9 rocket from Space Launch Complex 40 at Cape Canaveral Air Force Station in Florida. 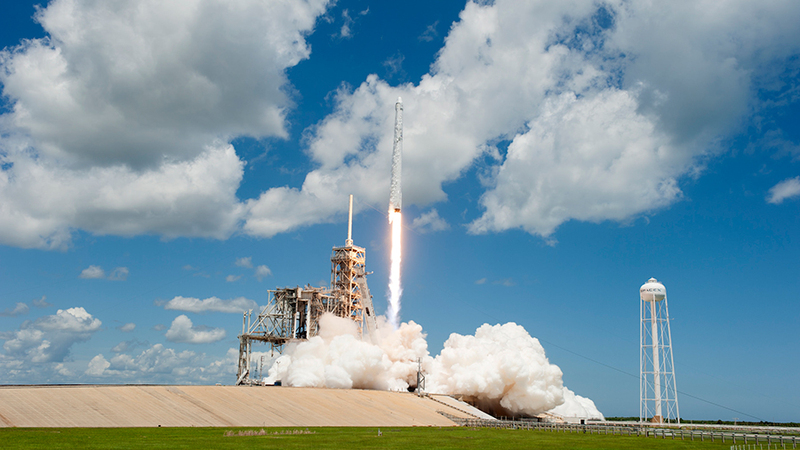 Meteorologists with the U.S. Air Force 45th Space Wing are predicting 90 percent chance of favorable weather for liftoff on Tuesday. 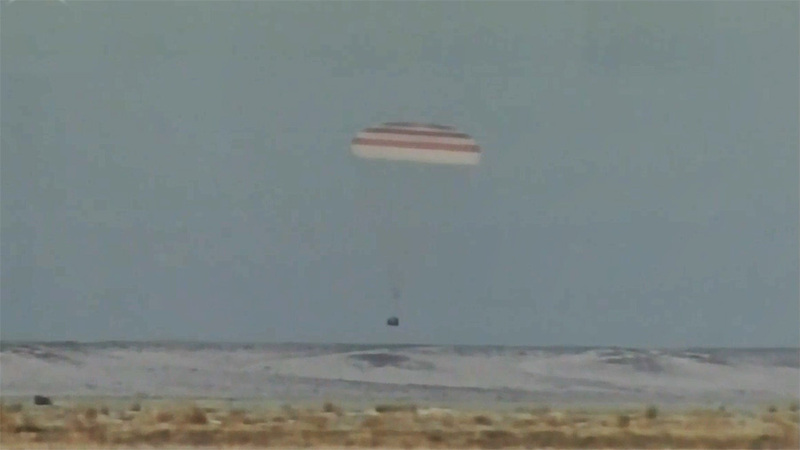 The primary weather concern is liftoff winds. Join the conversation online by following @space_station and #askNASA. 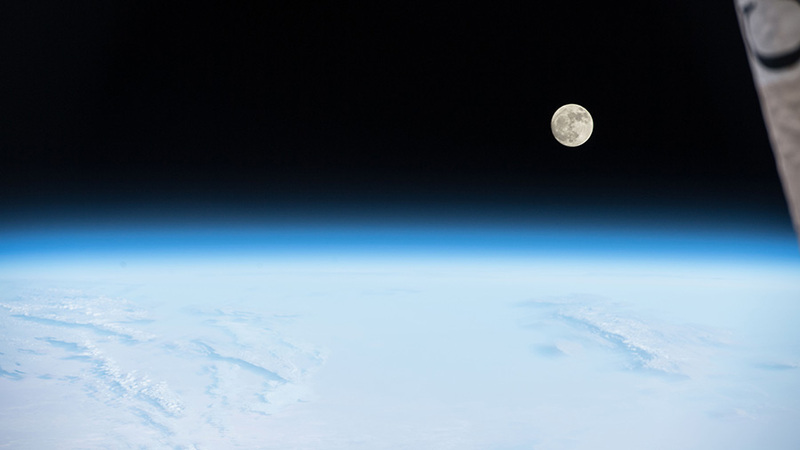 To subscribe or unsubscribe from this list, please email heo-pao@lists.nasa.gov. 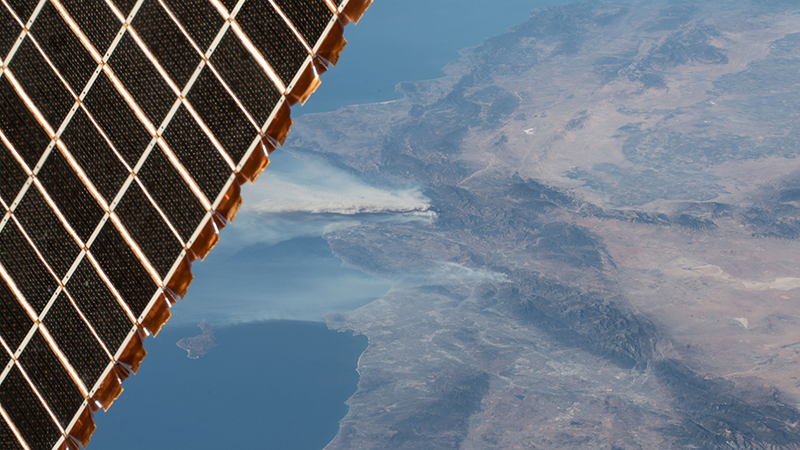 More wildfire photos can be viewed on the NASA portal and Flickr.